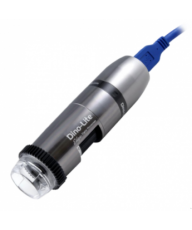 The Dino-Lite AM4115T-RFYW offers 10x~220x variable magnification and includes 7 YELLOW Fluorescing LED illumination (610nm). 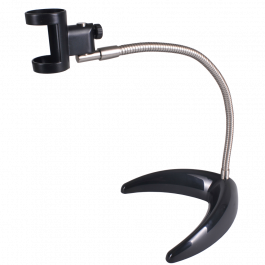 It also presents measuring software, a useful scroll lock feature that locks your desired magnification into place and a touch trigger mechanism for taking still pictures. 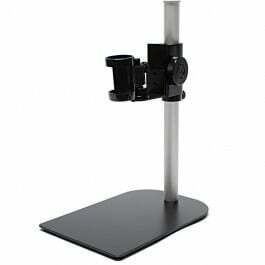 It is PC, Mac and UVC compatible. 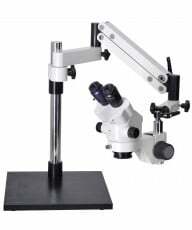 The AM4115T-RFYW features one white LED and 7 YELLOW LEDs with an excitation wavelength of 575 nm and an emission filter wavelength of 610nm, making it ideal for observing red fluorescing tissues in mCherry and microangiography analysis on specimens for which is has become a popular choice. It is equipped with a new sensor featuring YuY2 codec which uses less compression for a higher quality image and more accurate white balance compensation. 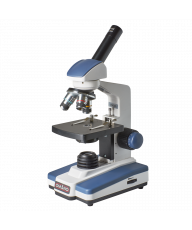 The AM4115T family of Dino-Lite microscopes all feature 10x~50x, and 220x (10x~92x for the 'L' series) variable magnification, 8-LED illumination and a tough ABS plastic shell encasing a 1.3MP color CMOS sensor. The series offers MicroTouch image capture, video frame rates up to 30 fps and the ability to save files in BMP, JPG and AVI format. Professional-quality imaging results can be viewed on any computer via high speed USB 2.0 output and the included DinoCapture (for PC) or DinoXcope (for MAC) software. In addition, the AM4115T series also features a second-generation housing with a smoother focus wheel movement and a handy thumb wheel scroll lock. 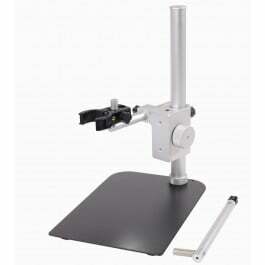 Once your magnification is set, slide the tab to the "Lock" position to secure the thumb-wheel. 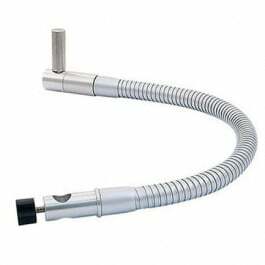 This keeps your image in sharp focus without further effort, a real time-saver when handling the microscope during repetitive observations. 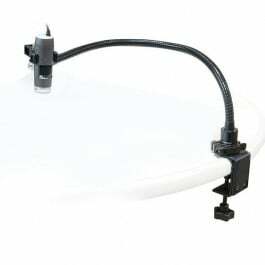 The USB cable is also reinforced for improved durability and protection. 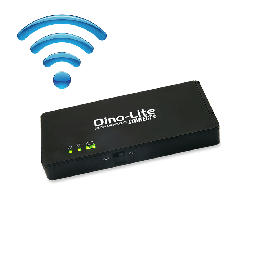 Dino-Lite USB 2.0 software is compatible with both PC (DinoCapture 2.0) and Mac (DinoXcope) computers. We have found the software to be robust and reliable. 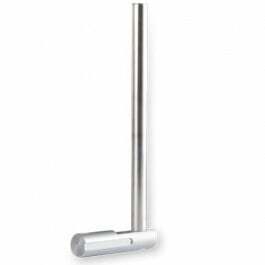 It enables image capture, video and time lapse video while measuring capabilities include linear and geometric as well as circular and point-to-line. Notations can be added and edited. >You can capture an image by clicking in the easy-to-use software or, on T models, simply tap the button on the housing. It is worth noting that the color resolution is excellent due to the fixed white-balance calibration which is set at the factory using a jeweler's color balance. Finally, the software enables frame import or export, notations and output to BMP and JPG. 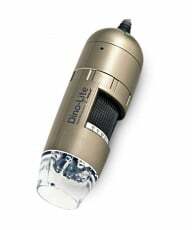 The Dino-Lite AM4115T-RFYW offers 10x~50x and 220x variable magnification and includes 7 YELLOW Fluorescing LED illumination (610nm). 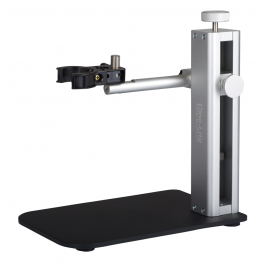 It also presents measuring software, a useful scroll lock feature that locks your desired magnification into place and a touch trigger mechanism for taking still pictures. It is PC, Mac and UVC compatible.Red Fluorescence LightingThe AM4115T-RFYW features one white LED and 7 YELLOW LEDs with an excitation wavelength of 575 nm and an emission filter wavelength of 610nm, making it ideal for observing red fluorescing tissues in mCherry and microangiography analysis on specimens for which is has become a popular choice. 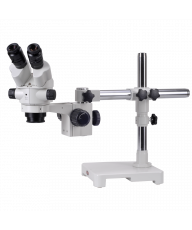 It is equipped with a new sensor featuring YuY2 codec which uses less compression for a higher quality image and more accurate white balance compensation.AM4115T Series FeaturesThe AM4115T family of Dino-Lite microscopes all feature 10x~50x, and 220x (10x~92x for the 'L' series) variable magnification, 8-LED illumination and a tough ABS plastic shell encasing a 1.3MP color CMOS sensor. The series offers MicroTouch image capture, video frame rates up to 30 fps and the ability to save files in BMP, JPG and AVI format. Professional-quality imaging results can be viewed on any computer via high speed USB 2.0 output and the included DinoCapture (for PC) or DinoXcope (for MAC) software. In addition, the AM4115T series also features a second-generation housing with a smoother focus wheel movement and a handy thumb wheel scroll lock.